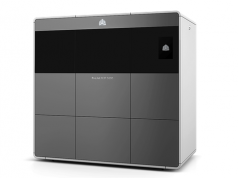 Simplify3D, a mainstay in the workflow of additive manufacturing professionals worldwide, launches Version 4.0 of its popular 3D printing software as the company enters its fifth year. 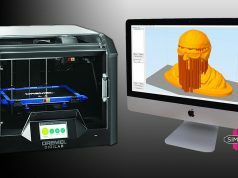 Known for innovative features such as the Dual Extrusion Wizard, interactive print simulations, customizable supports, and a lightning-fast slicer, Simplify3D continues to work hard to deliver the best 3D printing software available. “We’ve always been focused on pushing the limits of what you can accomplish with additive manufacturing”, said Clayton Webster, CEO, Simplify3D. “New features in Version 4.0 will help our customers improve their print quality and unlock new capabilities with their 3D printers”. Experienced users understand improving your print quality is a result of optimizing the settings that are used during the printing process. Different sections of a model may require different settings to achieve the best results. Version 4.0 introduces the Variable Settings Wizard, which makes it incredibly easy to optimize the behavior in each section of your model. 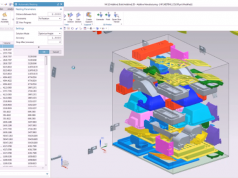 This allows Simplify3D customers to achieve a level of control similar to high-end CNC machining software. 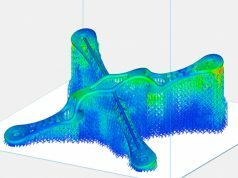 Simplify3D allows customers to change any setting they want for different sections of a model, unlocking new possibilities such as changing the mechanical properties of your model throughout the build. You could add strength or weight in one section, while optimizing another section to be light-weight or to achieve a faster manufacturing time. 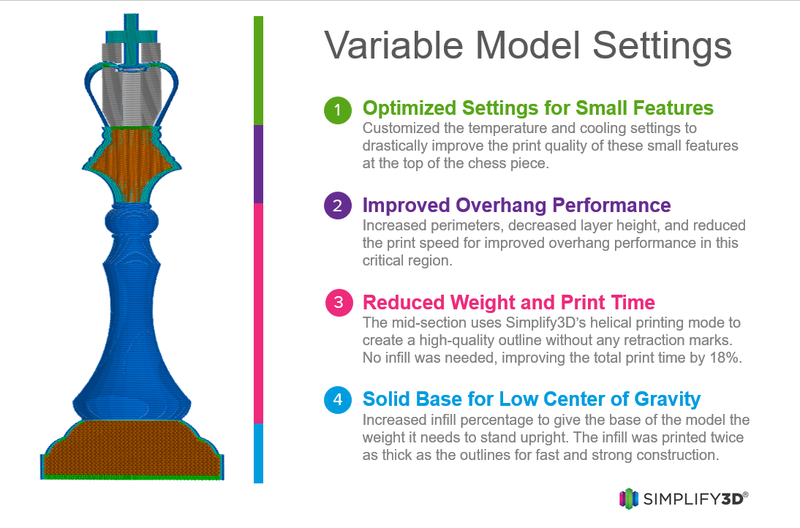 For example, the Chess Piece in the diagram below was printed with varying properties to improve the print quality in different section and provide a lower center of gravity, all while still improving the overall print time by 22%. “One of the major limitations that we have seen with extrusion-based (FFF/FDM) 3D printers is the minimum feature size that can be printed with a standard extruder. 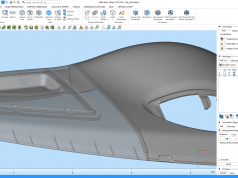 Many guidelines recommend creating models that are at least 1mm wide in all locations, but with Version 4.0 we are introducing new technology to greatly improve these capabilities”. The latest release from Simplify3D includes new techniques that will dynamically adjust the amount of plastic that is extruded from the nozzle to create smaller or larger extrusions depending on the shapes you are trying to print. This enables your printer to produce smaller and more accurate shapes than previously possible. The same technology has also been applied to the interior of the model, ensuring walls are properly sealed to improve the strength of critical components. The fan blades in the photo below demonstrate this ability to dynamically adjust the flow, achieving a sharper leading edge that more closely matches the designer’s intent. 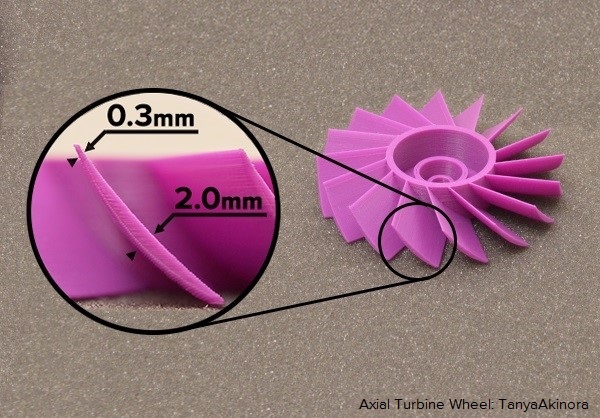 The new technique has many applications for FFF/FDM 3D printing, and will further blur the boundaries between different 3D printing technologies such as SLA or SLS. For more complex models, 3D printing success is frequently influenced by the foundational elements that stabilize a print during construction, such as supports, rafts, or brims. Version 4.0 includes improvements for this entire collection of foundational elements, starting with enhancements to the award-winning Simplify3D support structures. Several new features improve the ability of the support structures to stay anchored to the build platform, allowing even the tallest models to be fully supported through long build sequences. 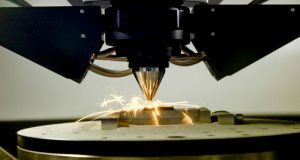 Other new features will allow customers to vary the density or material that is used for the top layers of the supports, near the surface of the part. This creates some unique possibilities, such as switching to a dissolvable support material near the part surface for easier removal. 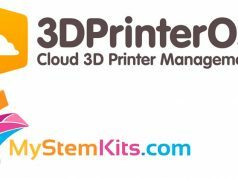 Many printers require a raft to secure the first layer of the print and Version 4.0 includes a completely new raft design, offering the same break-away removal that customers love with Simplify3D support structures. A new raft construction algorithm reduces the amount of filament that will be used and then discarded, often saving 50% of the filament and up to 40% of the print time that would have been allocated for the raft using previous methods. Version 4.0 also includes many popular feature requests that were inspired by the community such as updates to the Simplify3D animated preview which shows a simulation of the extruder as it lays down each individual line of plastic, a completely new bridging algorithm, improved mesh simplification tools, new dual extrusion options, and much more. Customers can explore a full list of features included in Version 4.0 by visiting the Simplify3D website. Simplify3D is also committed towards the goal of universal compatibility, ensuring that the software is compatible with the latest 3D printing hardware. 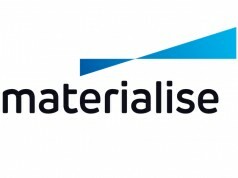 The company has partnered with 3D printing companies in over 30 countries and provides multiple language translations for the software, allowing the software to support a worldwide 3D printing audience. 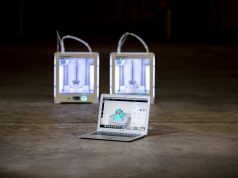 With support for almost 100 new 3D printers added during the last year, users around the world have confidence that they can use Simplify3D with multiple 3D printers or any machines they choose to purchase in the future. 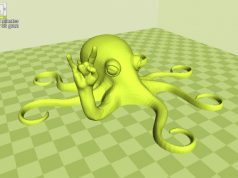 Version 4.0 is a free upgrade for all existing Simplify3D customers.